I spent a good deal of yesterday re-spinning the highlights from the New Year’s Run, and — man — the top-notch jams are as good as anything the band has thrown down since their return. Combining an ego-less improvisational ethos with well-polished, end-of-the-year chops, Phish crafted several eternal excursions that will forever bring us back to the first juncture of decades in the 21st century. 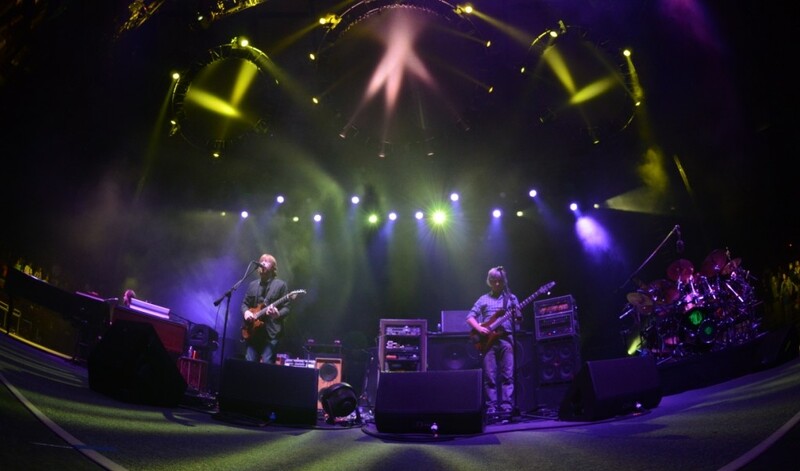 “Harry Hood,” “Ghost,” “Seven Below > What’s the Use?,” “Simple,” “Tweezer,” “Sand,” and “Twist” — all vintage Phish jams, and — interestingly — they all explored different musical territory. 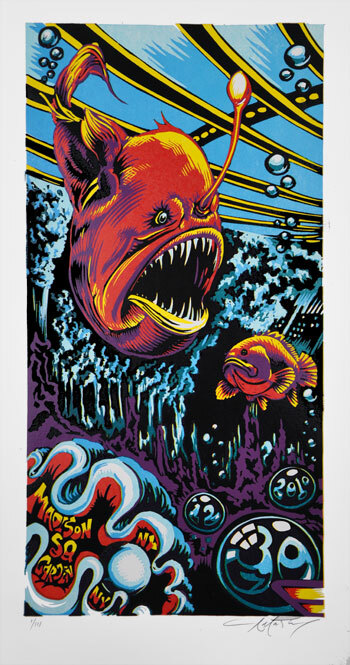 Illustrating the diversity of Phish’s current skill set — and their improvisational marksmanship when diving deep — these jams gave us a legitimate signpost along the road of modern Phish. 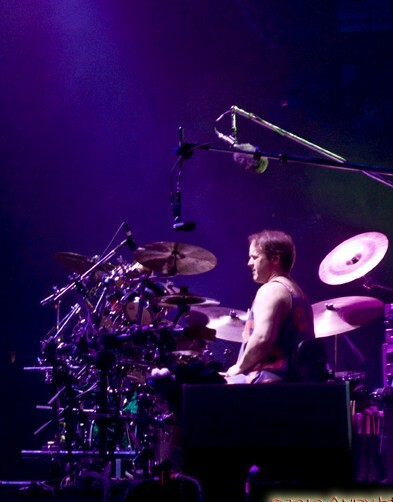 Gone is rock-star Trey (though his part of “Ghost’s” peak almost crumbled the walls of The Garden), and what has emerged in Phish’s most successful endeavors is a collaborative jamming in which all members build directly off each others’ phrases in a sublime, subconscious spiral. In each of the aforementioned pieces, leads were traded at times, but the most triumphant passages occurred when the band merged into a selfless musical orb. Instead of layering independent ideas atop each other, the band continuously reached points of effortless cooperation as if controlled by a single mind. Perhaps the most immaculate example of this subliminal musical mastery came in Worcester’s “Harry Hood,” in which the band echoed and finished each others’ thoughts and phrases as naturally as a river flows through the woods. Playing with an ego-less virtuosity, the band scribed a new-school symphony for life, itself. “Ghost” — the unquestionable jam of The Garden — combined smooth and collaborative interplay with a phenomenal, whole-band peak that Trey laced with top-level, guitar catharsis. “Simple” drifted into an enchanted, so-connected-it-sounded-composed segment, in which Trey picked up a subtle offering by Page and — together — they transformed the phrase into the heart-melting theme of the full-band conversation. Other examples of this transcendent cross-talk came in “Sand’s” opening staccato-crack and deep into “Tweezer,” where the band’s most successful sequence featured all members lending only partial phrases to an overall, experimental, whole. 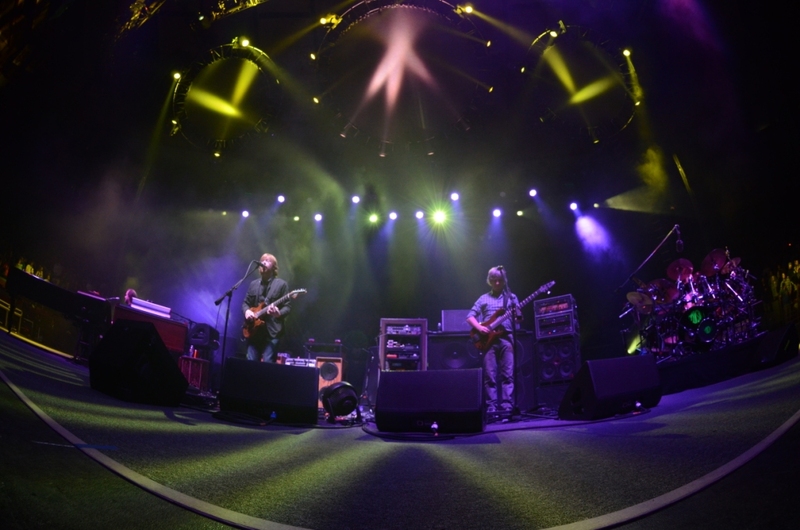 “Seven Below” tapped into this collaborative jamming immediately, as Trey comped the band’s patterns with subtle brushstrokes that eased him into the overall mixture. And before long, the entire band found themselves in a musical chase through some of the most patient and tightest jamming of the year, coming to an unprecedented peak in a mash-up with “What’s the Use?” “Phish stretched the boundaries of “Twist’s” jam structure while exploring meticulous textures using the same fluid communication featured throughout the week. Within the context of these next-generation jams, Phish bid adieu to 2010 and welcomed 2011 to the world. Though the sets were not all perfectly written, and the New Year’s Run, at times, seemed a bit pre-packaged, when the band chose to take musical risks, they came up with nuggets of gold every single time. And a handful of elite jams played over the final days of the year represent legitimate high points of the modern era. For me, transportive improvisation has always defined the magic of Phish shows, and when peering through the portals provided over the holidays, the state of the band could not look brighter as we move into the next decade. This entry was posted	on Monday, January 10th, 2011 at 1:01 am	and is filed under Uncategorized. You can follow any responses to this entry through the RSS 2.0 feed. Both comments and pings are currently closed. I like strippers. And the MSG YEM. so does anyone know why they changed the words to manteca? I’d imagine its racial, no? and by racial, I don’t mean racist. Just that phish would have no reason not to go back to georgia. I know some of you got huggiebear’s memo today, so I wanted to remind you of the voluntarily obligatory change your avatar period here on the BB. Always wondered that too. Probably some combination of your theory and Phish just being a bunch of goofy motherfuckers. lol what, the gillespie version had lyrics? In the version from Verve Jazz Masters (which I believe is from one of the Newport Jazz Festivals), the band sings (chants, really) “I’ll never go back to Georgia” along with the bass part in the very beginning. yes, over the years they would chant “Ill never go back to georgia” over the opening. which i imagine is a reference to leaving the south. these teams match up pretty well. their cheerleading squads could not be more different. Auburn=homely……Oregon=$$$$! I’m not 100% sure, but I think Cam Newton just equated himself with Jesus Christ. Those are Ella F’s lyrics to Manteca. Powered by WordPress v 5.1.1. Page in 0.641 seconds.